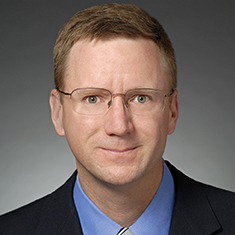 Christian T. Kemnitz is co-head of the firm's Financial Services Litigation practice and a member of the Board of Directors, focusing on disputes relating to the financial services industry. He is experienced in pre-litigation counseling and all aspects of litigation, including trial, arbitration, and mediation. In addition, Chris handles complex commercial disputes, antitrust and trade regulation, white collar criminal matters and internal investigations. Chris’s financial services experience includes litigation, enforcement proceedings, internal investigations and regulatory actions relating to securities, options, derivatives, commodities and futures. He represents broker-dealers in civil disputes, including arbitration claims brought by customers. In this work, Chris has an extensive and successful record resolving matters at hearings. He also handles class action litigation brought under the securities laws or relating to the financial services industry. Chris counsels diverse parties at various exchanges, and in enforcement proceedings before the Securities Exchange Commission (SEC), Commodity Futures Trading Commission (CFTC), self-regulatory bodies, and at stock, option and futures exchanges. His commercial litigation experience includes the litigation of complex contracts, employment matters, product liability claims, disputes within partnerships and closely held corporations, and complex financial matters. Clients seek his counsel in class action disputes in industries ranging from manufacturing to financial services and involving alleged violations of the antitrust and securities laws or state law product liability claims. Chris also advises corporate and individual clients in many industries in white collar criminal matters, including governmental investigations involving the Department of Justice (DOJ), the SEC and the CFTC. Often those investigations are preceded by comprehensive internal investigations. Chris has participated in or run internal investigations for manufacturing companies, investment banks, broker-dealers and hedge funds. Chris is experienced in all aspects of antitrust law and state and federal antitrust litigation, including pre-merger regulatory review, criminal investigations and class action civil litigation relating to claims of conspiracy, monopoly and Robinson-Patman violations by direct and indirect purchasers. Before joining the firm, Chris was a law clerk for the Honorable Charles L. Levin of the Michigan Supreme Court. He serves as the treasurer of the Board of Directors of the Cabrini Green Legal Aid Clinic in Chicago.